Daniel Monteagudo (Spain, 1990) started his musical education at Conservatorio de València, Spain, studying the violin (1999-2003). In 2016 he discovered choral music and started to participate in the main choirs of Valencia (Coral “allegro” ONCE València, Coral Stma. Trinidad de València. Orfeó Universitari de València, Orfeó Valencià Navarro Reverter). He graduated in musical teaching from University Jaume I of Castelló. An Erasmus exchange in Vilnius, Lithuania opened the doors of the Lithuanian Music and Theatre Academy for him, where he was accepted as a choir conducting student under the supervision of Vytautas Miskinis. 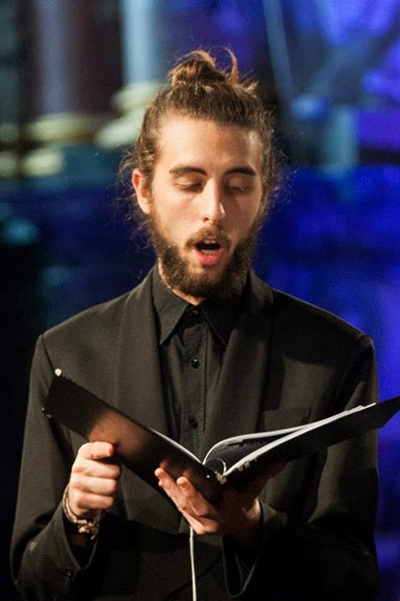 Under the Nordplus exchange study programme, he studied at the Norwegian Music Academy with Tone Bianca Sparre Dahl, joining Schola Cantorum Choir and Oslo Domkor during his stay in Oslo. Currently he is studying for his diploma in choir conducting and participating in diverse choral activities. He works as a singer of Vilnius Municipality chamber choir “Jauna Muzika”, singing mainly contemporary and new music.